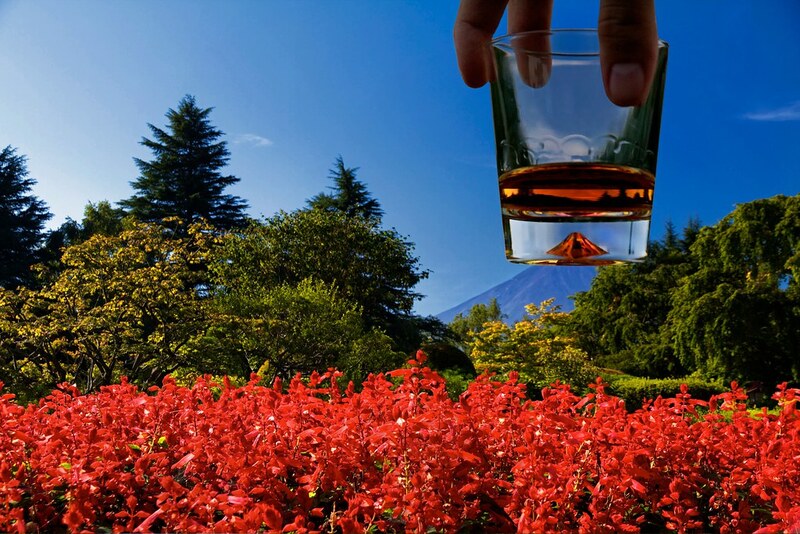 “This shot was an idea I had in my head for about a year; it all started when I saw this Fuji-glass in a bar. I tracked one down for myself (turns out it was a packaged gift with certain bottles of Suntory whisky) and took it with me this summer when I traveled down to Lake Kawaguchi at the foot of Mt. Fuji. I walked around the town for a couple of hours until I found a nice setting with a lot of red.